well helllooooo february, you sneaky little thing you. somehow you popped onto the scene before i could say jack robinson. but welcome just the same. i actually finished something y'all. 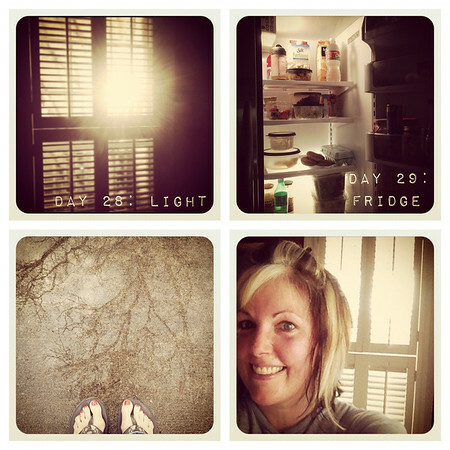 the #janphotoaday challenge in instagram. i know, big whoop, i managed to take a photo a day for a month, give me a prize. but for a girl who usually gets distracted by other bright and shiny things and fizzles out on projects 2/3 of the way through...i'm a wee bit proud of myself for sticking it out. so that was a fun little photo challenge. i started fatmumslim's new one yesterday (feel free to join me). speaking of being sweaty from my turbo fire workouts , i've made more of an effort to do them, you know, regularly. last week i exercised 5 days and am on track to do the same--or more (!!) --this week, which feels, well...fabulous. i love the music, the moves, the intensity, the punches and kicks and the challenge. my goal is to stick with it for a month (of 5+ workouts a week) and see what happens. of course my food choices could be better. i have patterns of good days followed by scary days, so as always, consistency (discipline? commitment?) is still my biggest struggle. i also started a few others but quit them when they didn't grab me or make me want to care about them. 6 down, 37 more to go. I loved 11/22/63 as well. So not what you would expect from a King book. I just downloaded In the garden of beasts. Several of my friends have read it as well and love it too. So glad you loved In the Garden of Beasts. I think I'm going to read that after I finish Devil in the White City. Another book to put on your list? The Immortal Life of Henrietta Lacks. My mom just read it and loved it. Will be adding books to my list, thanks. I thought I wasn't going to do #febphotoaday but then I did yesterday's, so maybe I am. Very good on the exercise! Last week was my best week yet for running and then this week was just not. Al kinds of excuses that boil down to just didn't do it. I'm taking note of your books. I read 10 in january (almost 11!) which is a personal record. But there's no way I have time to keep up that pace for the whole year + work full time and have 3 kids. I love the idea of a photo a day challenge. I got 11/22/63 for Christmas and have been a little nervous about starting it. I did read though that it's not the horror type book and I am glad to hear what you had to say about it. will be starting it soon! Running. I'm Bringing It Back.